The Hotel Vienna , 3 stars in Rivazzurra di Rimini, is a family-run hotel near the sea. It has free parking, bicycles, WI-FI throughout the property. Admits small animals. The hotel is located near the beach of Rivazzurra, a small and quiet village south of Rimini. 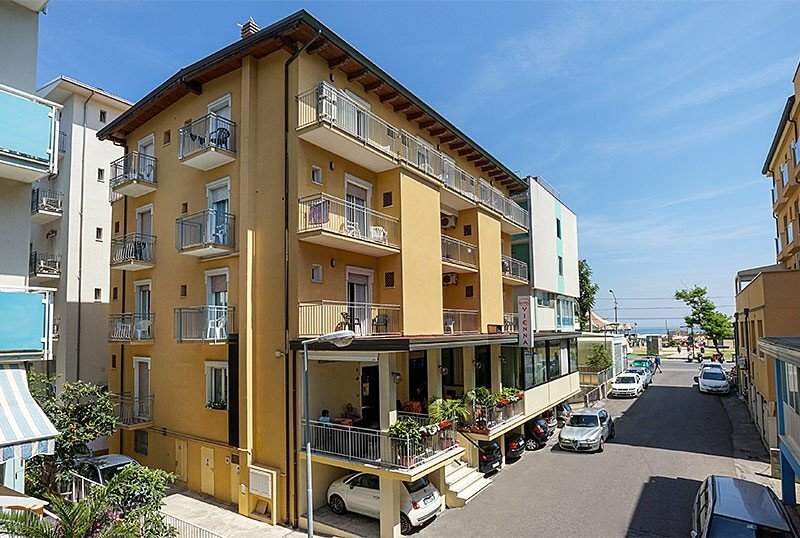 It is located a few meters from the promenade and the promenade of Viale Regina Margherita. The location is convenient for visiting the Fiabilandia park. They are simply furnished and can also accommodate bunk beds for families. They have TV with digital terrestrial and private bathroom with shower. On request: hairdryer, sea view and air conditioning (on payment). Terrace, free bicycles, air-conditioned restaurant, bar, newspapers, lift, fax and photocopier. PARKING: free covered and uncovered parking, on request. AIR CONDITIONING: present in the common areas, available in the room on request. BREAKFAST: sweet buffet, savory dishes on request. LUNCH AND DINNER: you can choose between two menus, of meat and fish, with recipes of local gastronomy, buffet of vegetables and side dishes. Water is included with meals in every accommodation package. VARIATIONS: on request vegetarian cuisine and packed lunch. The hotel has an agreement with the beach n. 127 with hydromassage, beach volleyball courts, beach tennis, table tennis, table football and soccer, playground for children, nursery, entertainment, picnic area.